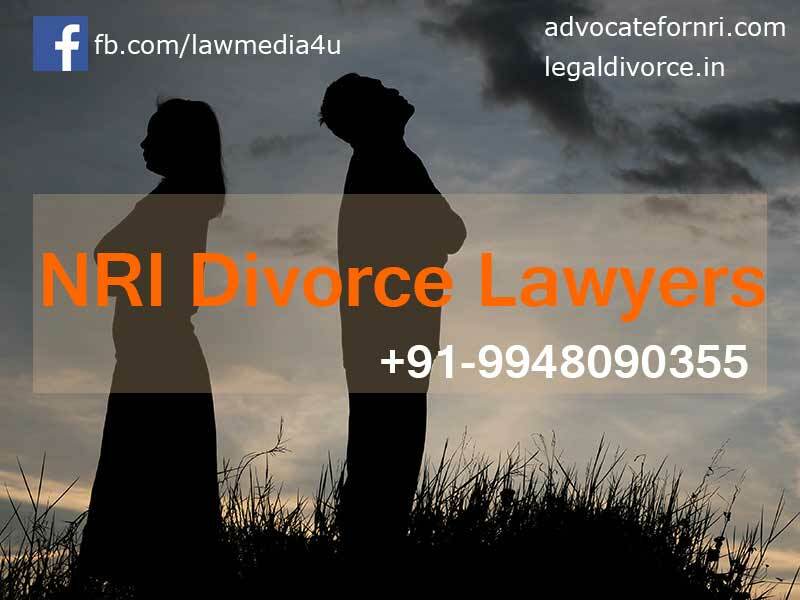 Searching for NRI Divorce Lawyers in Hyderabad, Telangana? Sai Krishna Azad is rated as “Top 3 Divorce Lawyers in Hyderabad” recent survey conducted by Three best rated. NRI divorces have become common now-a-days. People getting married in India. Staying in abroad for a few days and coming back for a divorce is increasing. Filing a divorce petition in India for NRI’s could be made a smooth ride by our experienced lawyers and excellent team members. We make the transitions smooth by responding to each and every communication of yours. You can contact us through email, chats or by phone. We know as NRI’s you can’t travel frequently and we respect your time. With very fewer visits or with no visits, we can complete your case in the quickest possible time. For appearance in court proceedings, if one client is unable to come then the power of attorney could be accorded to any person. This person should be a very close family member preferably. Once the statements are heard then the first motion is granted. After the first motion is granted, a 6 months period is given for both the parties to think and reconsider their decision. If both the parties would not like to reconsider their decision then the second motion is passed. Sometimes the court can extend the period from 6 months to 18 months, so the NRI can assign his consent and his presence between that periods. We also deal with all type of divorce cases of NRI’s. Our experienced and well-practised lawyers can be your friend and guide to make the transition smooth for you. We understand the problems of NRI of frequent travelling to India too and forth. You can keep your visits shorts with us, as we as your legal agent will be taking care of each and every need of yours. Contact us for the best services and friendly consultations. • We provide the best in-person consultation services answering all your queries. • We updated with every single progress in the Divorce scenario in India. 1.Can NRI file for divorce in India? a. Yes, NRI’s can file Divorce in India. 2.Can a person living in the Foreign divorce his Indian wife without going to India? a. In such scenario, the man can file the divorce in Foreign (US, UK, Australia etc.,) and get divorced. The problem would be that such divorce unless contested by Indian Wife or granted on grounds not recognized by Indian Laws would not be valid in India. You would have heard stories of draconian laws like 498a/ Dowry Harassment, which many women have misused. Also, such Foreign-based person can also file the divorce in India using “Power of Attorney”.